« And the blog begins. . .
Great story, brought a smile to my face! Thanks. That boy of mine is a trip. I laughed about as hard as I ever have. He was serious. 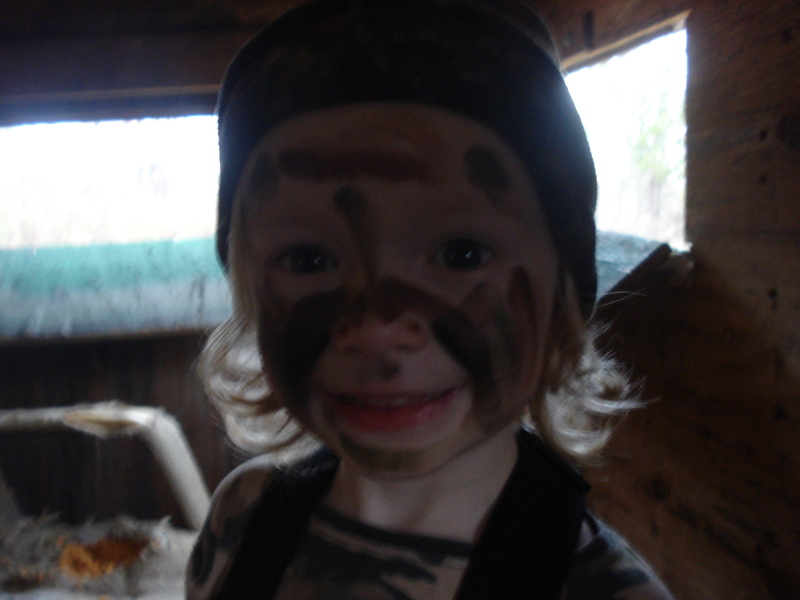 I can’t wait until he harvests his first buck. What a great story. I think he was, “the man for the job”. I’m all about QDM-type practices when it comes to deer hunting, but I have to honest and tell you that I would have had a hard time passing that deer, considering the circumstances. Kudos to you, though, for doing it; just another way to teach the son patience. Great, great story. And great new blog you have going here. I can’t wait to share hunting time with my 16month old daughter in the near future. I’m already starting to lay the foundation. Thanks for the comments. It was hard to pass him up. Good news is, I now know where he likes to eat. Thanks for the comments on the blog as well. Keep reading. I have more stories coming. Then, when you get out in the woods with your daughter, you can send me your stories. The way I laid the foundation when mine were just a little older than yours was just by taking them on walks in the woods while scouting. They love treasure hunts and as you know, sheds, scrapes and rubs are all treasures. Enjoy the woods. What a wonderful story. I think I would have laughed just as hard as you did. How great is it that he did everything exactly the same as you. I can’t wait till my boys are old enough to go out hunting and fishing with me. I’ve got a few years to go.